The government will train 8,000 extra computer science teachers at a new £100 million National Centre for Computing, Philip Hammond is expected to announce this week. 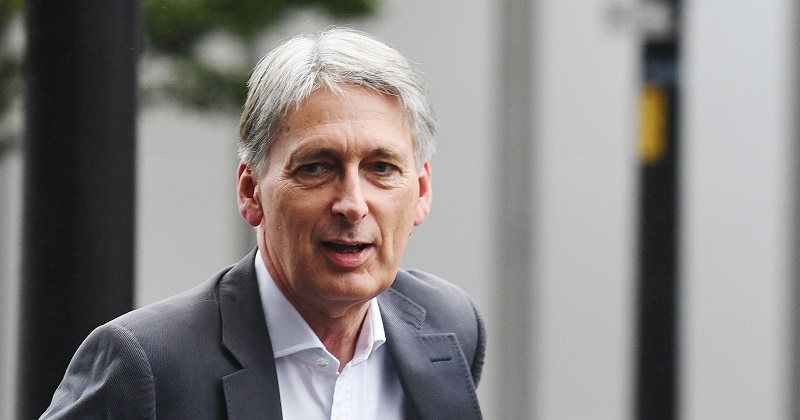 In Wednesday’s budget, the chancellor will set out his vision for a “hi-tech Britain”, and acknowledge the need to train more teachers in computer science. The shortage of computing teachers was officially recognised in January when the role was added to the “shortage occupation list” by the Migration Advisory Committee, which lifted restrictions on hiring specialists in the subject from outside the EU. The announcement, teased in the media over the weekend, has been welcomed by Google, which pledged a further £1 million in grants to train teachers. Obum Ekeke, the company’s head of computer science education programmes for the UK and Africa, said the proposal built on “the progress that’s been made since computing was added to the curriculum in 2014”. The centre will help to ensure teachers “have the specialist training and support they need to educate the next generation of British computer scientists”, he said. Previous attempts to encourage more people to train as computer science teachers have seen only limited success. Last January, Schools Week revealed that a £3 million scheme aimed at recruiting 400 “master teachers” in computer science had failed to meet its target. The target was scaled back to around 300 after Computing at School, the organisation hired to train the teachers, admitted there was “nowhere near enough of them”. Last December, it was reported that another programme aimed at encouraging qualified teachers to return to teaching failed to make a significant impact in the sciences, including computing. Of 428 returner-teachers retrained through the scheme, just 27 were computer science teachers. There are also concerns that trained ICT teachers struggle when asked to switch to computer science. Last year, Dr Bill Mitchell, head of the British Computing Society, warned that ICT teachers were struggling with the new computing curriculum. Mitchell said at the time that it could be another five years before ICT teachers “feel confident enough to successfully teach computing science”. The British Computing Society, which was involved in designing the new computing curriculum, has also expressed fears about the take-up of computing among pupils. Figures published by Ofqual in June showed entries into the computer science GCSE rose from 61,220 in 2016, to 67,800 this year. At the time, Mitchell described this as “deeply worrying”, as numbers should be growing “very rapidly”. Further details about the government’s new centre are expected to be announced on Wednesday. Google’s £1 million grant will fund science and pedagogy training for “thousands of key stage 3 and key stage 4 teachers in England over three years”. This training will be delivered by the Raspberry Pi Foundation, the British Computer Society and the National STEM Learning Centre. When it comes to Computing, ICT teachers and the new curriculum, anyone with even the most rudimentary internet search skills will quickly spot that all these problems were foretold by many involved in education, as against those involved in pushing their own agendas from an industry or sector perspective. To find that those who pushed themselves forward to run a totally ill-thought through scheme of their own creation are now being quoted as those who warned of the difficulties (three years too late) is bad enough. To find that in an opaque, tender-free process they are being given even more funding to put this right is unbelieveable. Or it would be unbelievable, if we didn’t already know that there is no-one at the DfE who has a clue what to do about this curriculum car crash. a. not realising that the radically different nature of the new subject meant that many currently teaching the predecessor ICT were not equipped to handle the new teaching. b. totally failing to recognise, fund (and do the logistics on!) the huge amount of teacher professional development therefore required to implement the shift. c. also failing to distinguish the impact of the tension between the new tri-partite subject Computing (with Computer Science, Information Technology and Digital Literacy) and the subject being incorporated into the curriculum-skewing Ebacc – GCSE Computer Science. d. failing to recognise that the greatest need was to have a digitally-literate population emerging from schools, not pupils aspiring to be programmers. And before everyone leaps to blame the business lobbying back then, even the major IT companies were warning that the overwhelming obsession with bringing in programming was skewing the skills that the sector required. It wasn’t that they didn’t want pupils to experience coding – it was that the needs were far broader that that! Too much credence was given to the opinions of a vested-interest lobby group, and we are now feeling the cold wind. To find that same vested interest is now to benefit from the mis-management is laughable.